Bullet Shot: Samantha Esposito | The Gettysburgian. 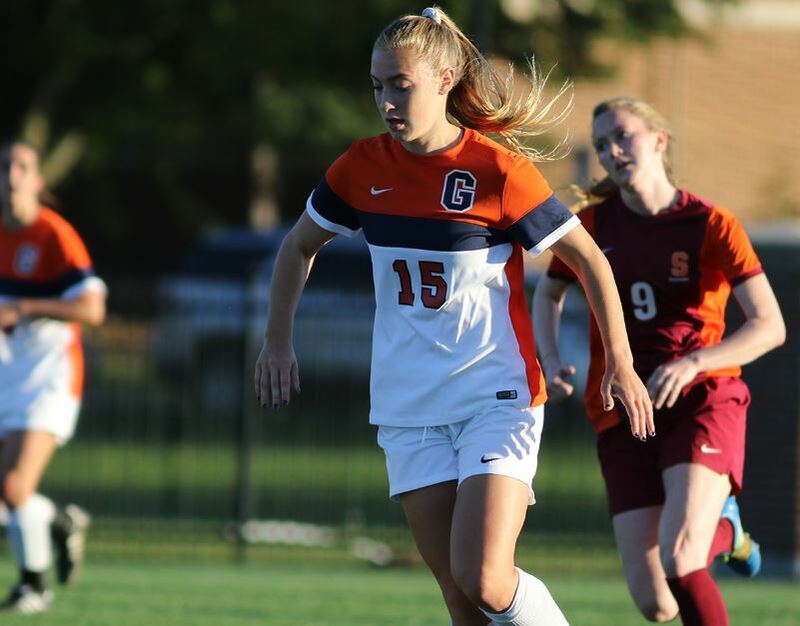 The Gettysburg Bullets Women’s Soccer team has made it to an 8-5-2 record in 15 games so far this season and have high hopes for a deep post-season run in the Centennial Conference. Through this solid start, junior forward Samantha Esposito has been a big part of the success for the women’s soccer team so far this season. Esposito, from Portage, Michigan has so scored 4 goals and has 2 assists so far this season in 11 starts on the year. She also leads the team in points with 10, and has a shooting percentage of 0.286% demonstrating her efficiency as an offensive threat. She has also had a game-winning goal to complement her other stats this season. Last week against Susquehanna, Esposito scored an in-front of the goal header helping the Bullets win the contest, 2-1. In the game against Susquehanna she had 2 points, 1 shot on goal, and a shooting percentage of 0.286%. She played 50 minutes in Gettysburg’s win. Esposito also has 8 shots on goal this year for a percentage of 0.571%, which is one of the highest offensively for Gettysburg. Esposito and the women’s soccer team will have a chance to rebound from their loss, as they play against No. 10 ranked Johns Hopkins in a home game Wednesday night at 7PM. Esposito’s strength and consistent scoring for Gettysburg are why she is the Gettysburgian’s Athlete of the Week.